“I had been diagnosed with CFS in 2009, following a bout of swine flu and a chest infection, which left me with CFS symptoms: severe physical and mental fatigue which doesn’t get better with sleep, poor body temperature control, and joint/muscle pain, along with flu-like symptoms. I ended up losing my job and became housebound for three months. One of the main frustrations with my CFS was exercise. If I did anything more than gentle walking for a few minutes, my body temperature would plunge, my hands and feet would go cold, I would start to experience mental confusion, I couldn’t find the right word for things, and then the muscle pain would start. As a result of this, I had got so physically weak, that I couldn’t even walk down the road for more than 5 minutes without needing to rest. My GP was sympathetic at first but unable to suggest anything other than painkillers and gradually building up exercise. The problem was, when I exercised, I would feel worse, especially the day after. Freezing cold, with muscle pain and flu symptoms. When I kept coming back, explaining that I was unable to build up the exercise without feeling worse, she suggested that it was all in my head, and I should take antidepressants! I knew that I didn’t need antidepressants (but that I probably would if I kept going back to that GP) so I decided to go and see a Traditional Chinese Medicine doctor for an alternative. The TCM doctor was amazing. She explained that illness in TCM terms is like an imbalance of energies in the body, and prescribed herbs and acupuncture, which worked brilliantly for a couple of days after the treatment but then the symptoms would creep back again. She also prescribed me some simple qigong breathing exercises, which had very little physical movement and were based around visualising energy moving into your body as you breathe. 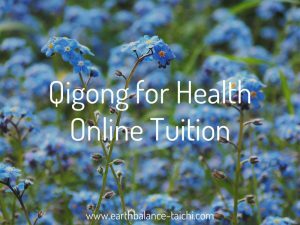 I couldn’t afford to keep going back to the TCM doctor but carried on doing these exercises at home and noticed how they made me feel better. Even on the days when I didn’t have the energy to stand up and do them, I would visualise doing them and just the intention seemed to help. Slowly things started heading in the right direction although I was still very weak. When I saw Nicola’s classes advertised at the Sidney Walter Centre, I was in two minds as to whether I would be strong enough to go, especially my symptoms get a lot worse in the evening, but I decided to give it a try. When I started the classes, I didn’t think I was going to be able to make it through the warm-up. It was more exercise than I had done for about a year, possibly longer, but as we moved into doing gentle qigong breathing, I realised that I was exercising without my hands getting cold, in fact they were getting warmer. I learnt the Eight Pieces of Brocade sequence and practised at home, trying to do it every day, and on the days when I was too tired, I lay down and visualised doing the exercises. Everything was hard at first but it got easier over the months, and now I am amazed how I can do physically demanding poses like Drawing the Bow with relative ease. Next I learnt the Five Animals, which I found to be a more physically demanding set. I’m glad I learnt this after the Brocade sequence, because I think I would have found these way too hard to do given the shape I was in at the start. The Eight Pieces of Brocade has been the most helpful sequence for managing my CFS symptoms. It is just enough of a physical challenge to get the energy flowing but it never seems to tire me out. One of the most useful things that qigong has taught me is body awareness. I can now listen to my body and pinpoint what is wrong. So while doing the Eight Pieces of Brocade, I notice that my shoulders are tight, or I have joint pain in the hips, or a lot of tension in my hands. This has been enormously helpful while dealing with CFS, because rather than going “I have CFS, I feel awful” I can say “OK today I have muscle pain in my legs and shoulders, and these exercises will help that feel better”. After finishing the sequence I check in with myself and see how things have improved, it’s a real psychological boost and it makes me feel like I’m in control of my condition. Thanks to this increased body awareness, I’ve now pretty much got the measure of how my CFS progresses if I don’t rest up when the symptoms start coming on, and I also know which exercises I can do to alleviate these symptoms when they occur. Two Hands Holding up the Heavens, and the Crane are very effective for shoulder pain and tension, and Two Hands Hold the Feet to Strengthen the Kidneys seems to be able to sort out a lot of my fatigue and lower limb pain. Qigong is not a cure for CFS, but it’s an effective way for me to manage it. If I don’t do the exercises, I feel ill, it’s as simple as that. When I’m having a bad day, I might just cherry pick a few of the gentler exercises, and it feels like I am pumping up a leaky tyre but it’s still a very positive experience. It makes me feel better than lying down on the sofa and falling asleep! Having watched her progress from 2011, I am so proud of what this student has achieved. I remember the difficulty she experienced during the first few sessions, and watched as her movements became more fluid and mobile. What really has made the difference here is her dedication, perseverance and patience. 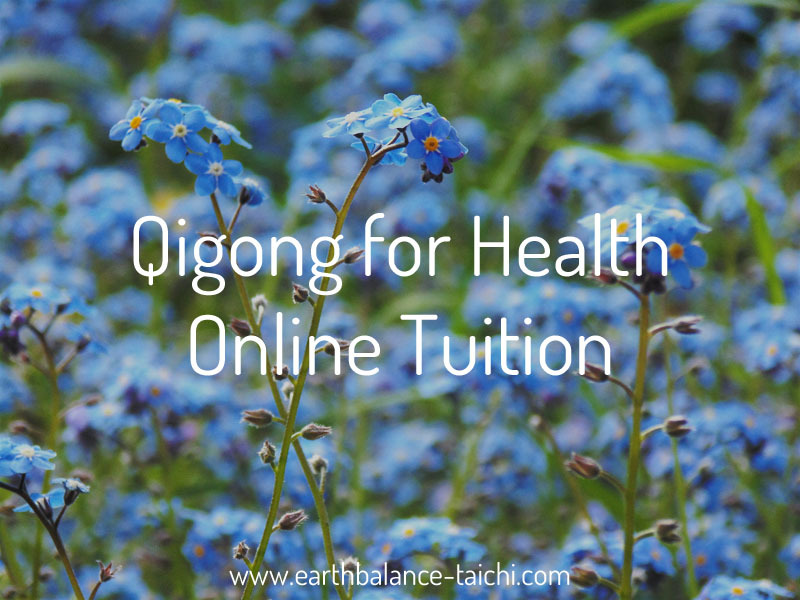 Full credit goes to this student for making qigong part of her daily routine and lifestyle, she has taken responsibility for her own health and with that is able to manage the symptoms of CFS. How incredible to find something that helps.